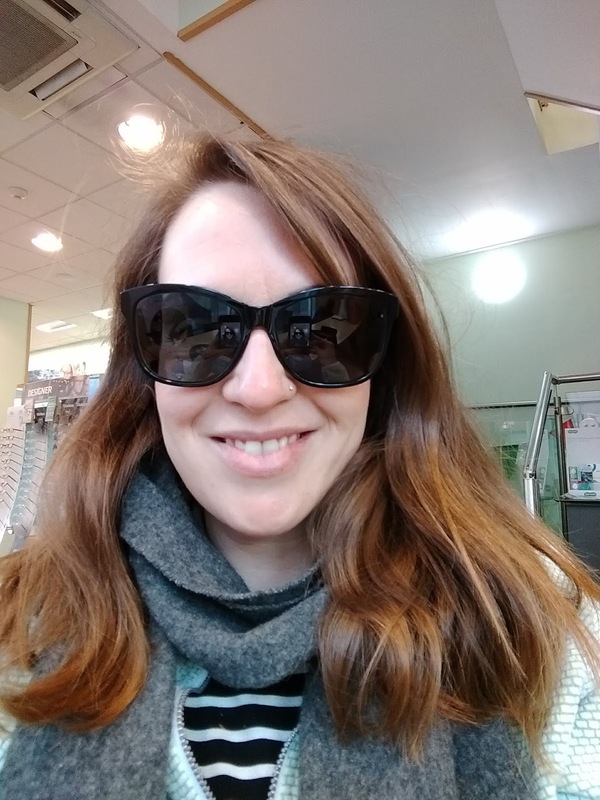 So with all that learning to love my glasses I have done over the years…..why then has it taken me 28 years to realise prescription sunglasses might change my life!!?? It wasn’t until I decided to enter the world of learning to drive and navigating the lessons in burning November sunshine in Glasgow (why never in summer though damnit! ), that I clicked that prescription sunglasses were exactly what I was going to need. Handily timing wise I was invited along to the Specsavers press showcase to get a look at the new Balmain range and It was enough for me to decide the time was now. The styles in the range are just truly flawless, I am often in and out of Specsavers just to check out the new frames as they really have had some amazing collaborators in recent years, but the Balmain one is a true stand out for me. Ally is a big glasses fan and is always quick to tell me what does and doesn’t work on my face shape ( I have no idea where this niche life skill has come from), an and even he was pretty set that all of the Balmain’s were phenomenal styles. I was really impressed with the colours, shapes and of course….the legs. There is a hint of retro but remaining stylish and really expensive looking, which I love when they are around £169 for two pairs in the offer. 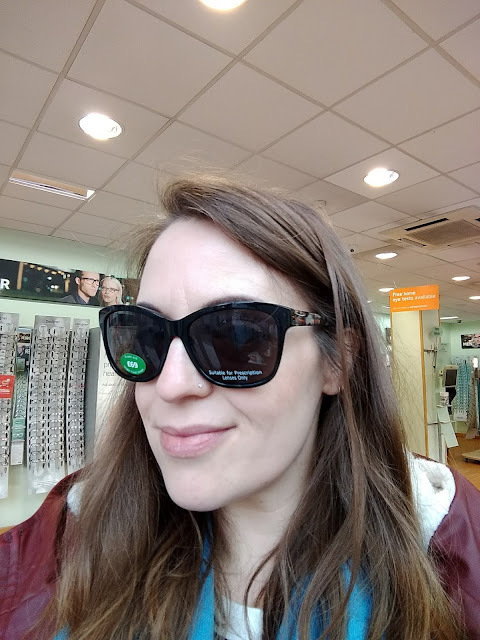 I could not resist the chunky, black, bold sunglasses from the range for getting my lenses in, the almost slightly art deco nod on the legs and the glamour of the frames really sold me. They just feel so timeless and elegant to wear, that I am definitely going to need get a convertible so I can properly show them off when out and about :) I chose to upgrade and add polarised lenses which I knew very little about before, but after trying on a set for comparison in store I realised just what a difference they could make to the glare issues I had been experiencing, plus they stop the sunglasses from feeling as actually dark as they normally do. I sometimes find that a bit disorienting which is not what I need when tackling driving which already makes me nervous. 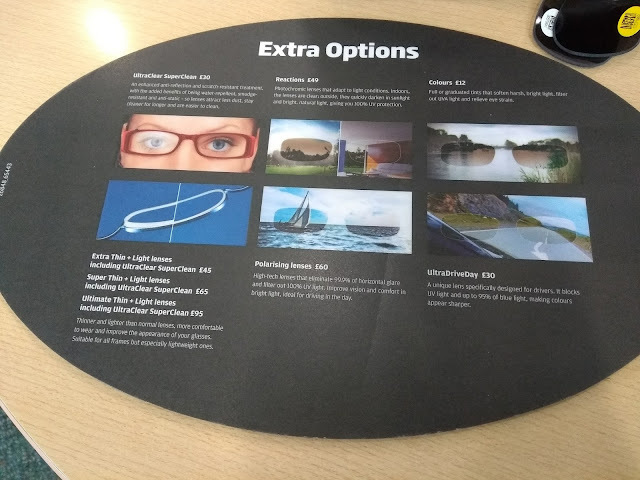 So having a lighter and clearer field of vision felt like a solid investment, plus all the staff in store who have them genuinely raved about the difference and I was dying to try them out. I am so glad that I did as from the moment I put them on the difference was incredibly noticeable. I really cant believe as such a glasses wearing fan that it has taken me so long to make the commitment to sunglasses that are not just a fun accessory,being able to actually enjoy wearing them means I will wear them far more often which is long overdue considering the damage I know the sun can do to the eyes. 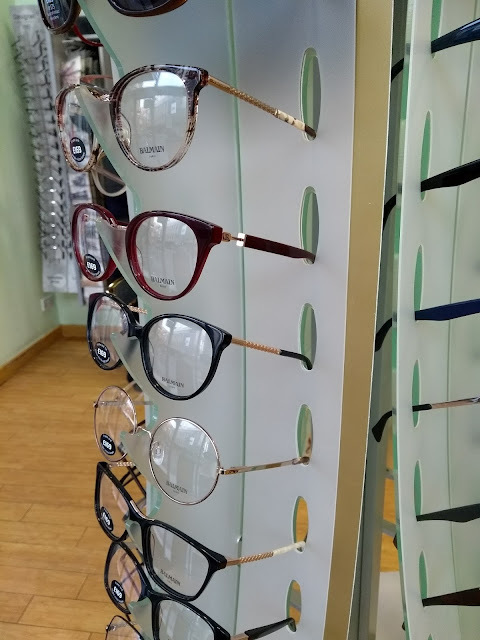 I can’t thank Alyssa from Specsavers Trongate branch enough as she was exceptionally patient with me while I selected the best frames to go for and talk me through the options and making sure my new pair fit me correctly. If I hadn’t been so captivated by the Balmain range at the launch event, I still would have no problem selecting as the sunglasses range even in winter was really fantastic, there were quite a few pairs that really made it a tough choice. Like this standard frame range, even the lower end of the scale in the £69 group are really eye-catching numbers that look far more expensive and again count as a two for one deal. At those prices I am even more mad I didn’t do this far sooner! 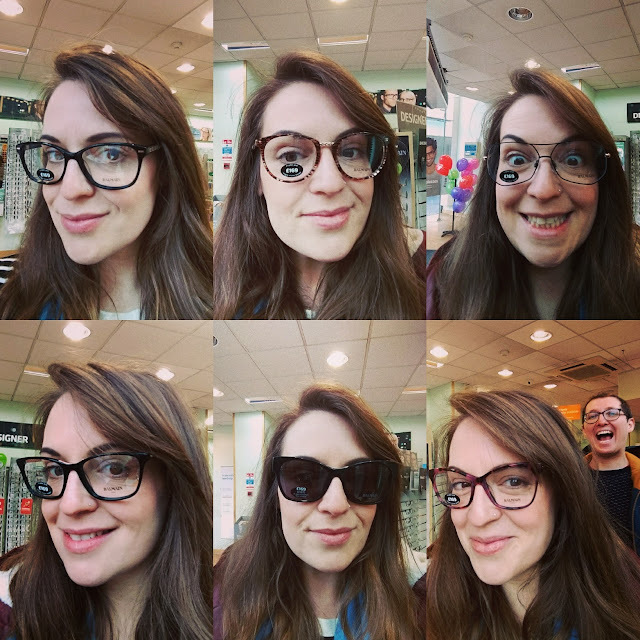 I can’t sing the praises of the Specsavers gang enough, I am delighted to finally feel like a functioning grown up who can actually see in all weathers. Thing is I love these new beauties so much I just want to wear them constantly which is a strong look when indoors :) The best part is....I actually passed my driving test so now these are my most important accessory.